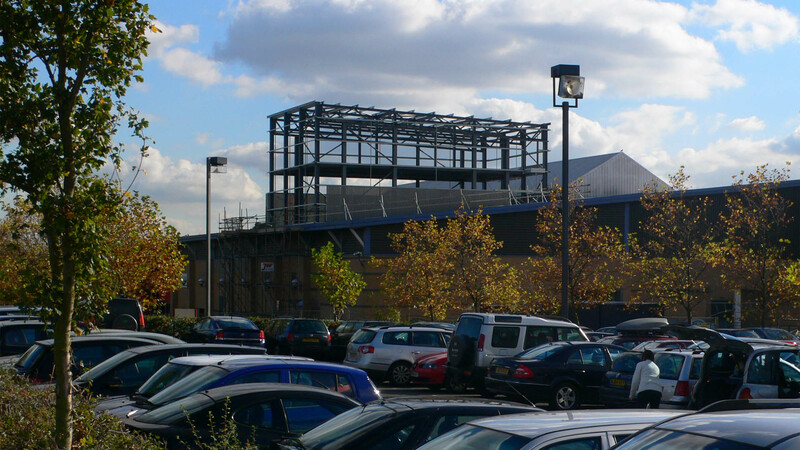 The Lighthouse Theatre is a 567-seat theatre forming part of a large sports and leisure complex on the south edge of Kettering. AJA were appointed in 2005 to provide outline acoustic design of the auditorium, while Michael Holden provided a full theatre consultancy service. The theatre was formed within the shell of a small sports hall. The floor was excavated to form raked stalls and a steel frame inserted on new foundations provides a balcony and a fly-tower. Careful design and sculpting of the balcony and boxes allow a near perfect view of the stage. The gymnastics area behind the sports hall’s new stage area was converted to three floors of dressing rooms and storage. 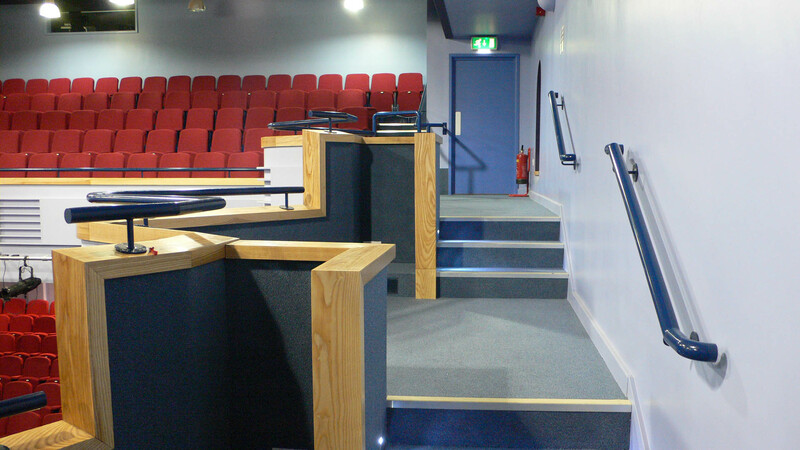 The old public entry area to the sports complex was converted to theatre foyers with bars on two levels linked by a new staircase and lift. 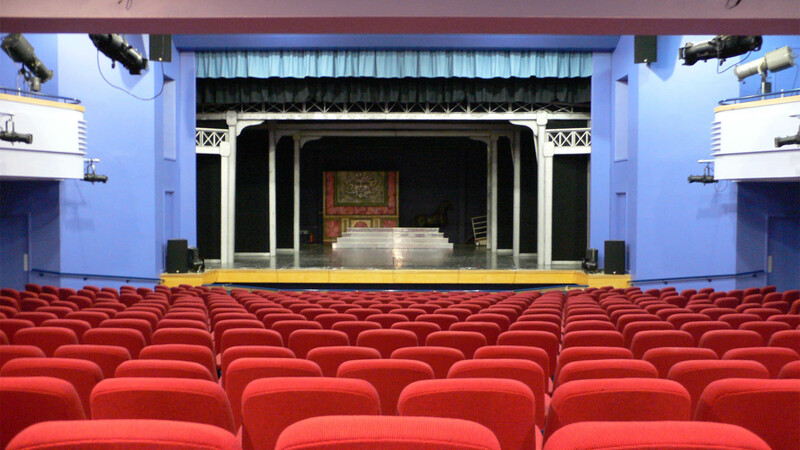 The cost of the changes has been carefully project-managed that the overall cost of the theatre and supporting areas was only £1.8 million. 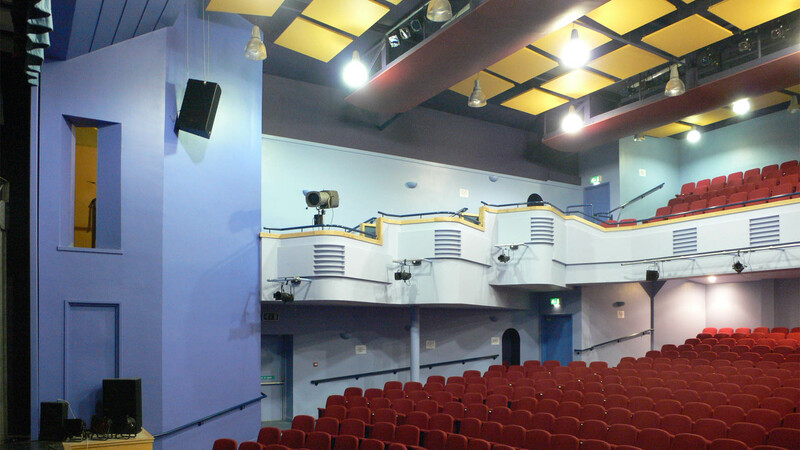 The fly-tower counterweight system was taken from a community theatre in a nearby college which was being demolished, and fitted into a completely new fly-tower rising through the old sports hall roof. 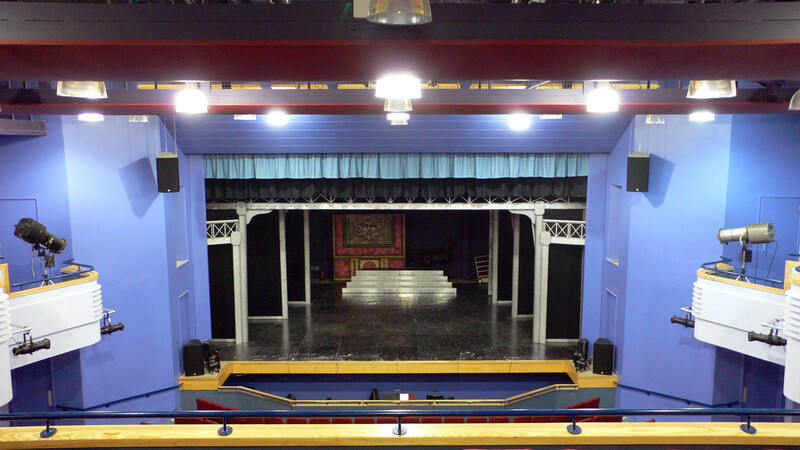 A small orchestra pit supports variety and pantomime performances, with a simple staging rostra arrangment to allow a pit lift in the future. 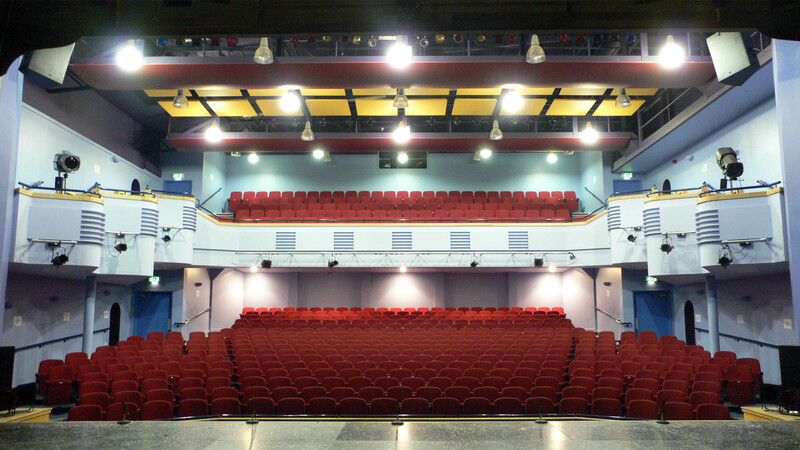 The theatre has a new displacement ventilation system which introduces conditioned air beneath each individual seat. 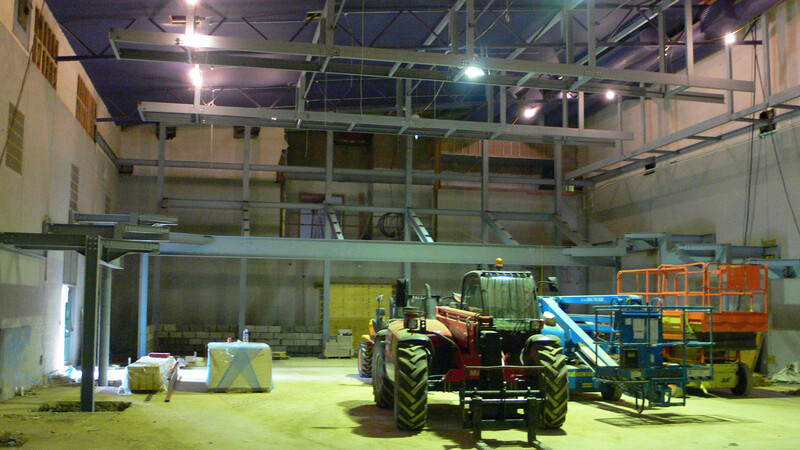 A heat recovery system recycles surplus heat from the auditorium to other parts of the building including the swimming pool. The low-cost but effective acoustic treatment used simple flat suspended plywood panels with acoustically absorbent material above. The theatre was completed and opened in 2008. The feedback from staff, audiences and performers has been extremely positive, which is a remarkable success given the exceptionally cost-effective conversion.